Hardness is the measure of how resistant solid matter is to various kinds of permanent shape change when a force is applied. Macroscopic hardness is generally characterized by strong intermolecular bonds, but the behavior of solid materials under force is complex; therefore there are different measurements of hardness:Scratch hardness,indentation hardness and rebound hardness.Common indentation hardness scales are Rockwell, Vickers and Brinell. 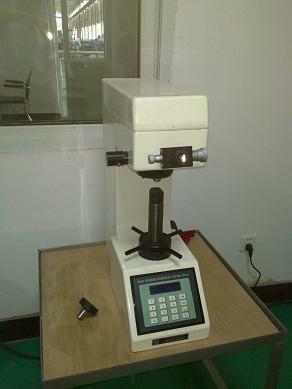 LSI hardness machines can test such three kinds of hardness data and keep in record.